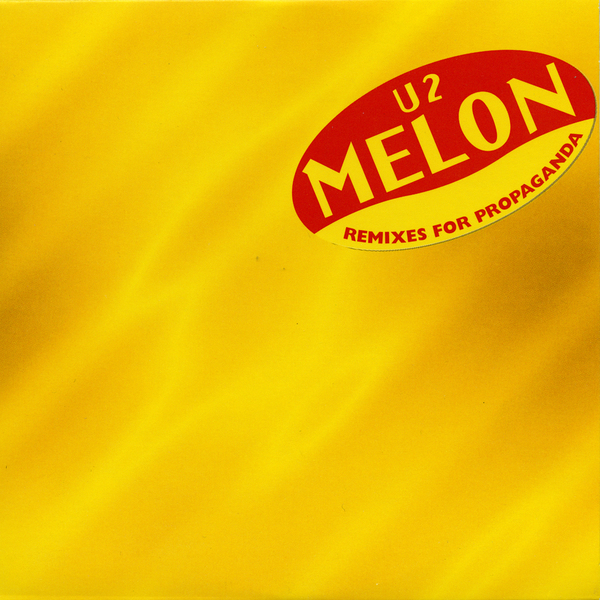 Melon: Remixes for Propaganda was a groundbreaking collection of nineties U2 tracks remixed by leading DJ's and producers. Released in 1995 exclusively to subscribers of U2's long-running fan club magazine Propaganda, the title Melon was a play on 'Lemon' and the Paul Oakenfold/Steve Osborne remix which had become a huge summer club hit. With remixes by The Soul Assassins, David Morales and Massive Attack, the limited edition CD quickly became a global collectors item. I lent my Melon CD to a friend about 15 years ago... Both are gone! I got my copy of Melon in the post ,then my photo in the next edition of Propaganda with Out of Control ep and Melon ,still have em now : ) Long time member and still inspired by Bono as a person and Songwriter . All the best , Jeff Mcguire .